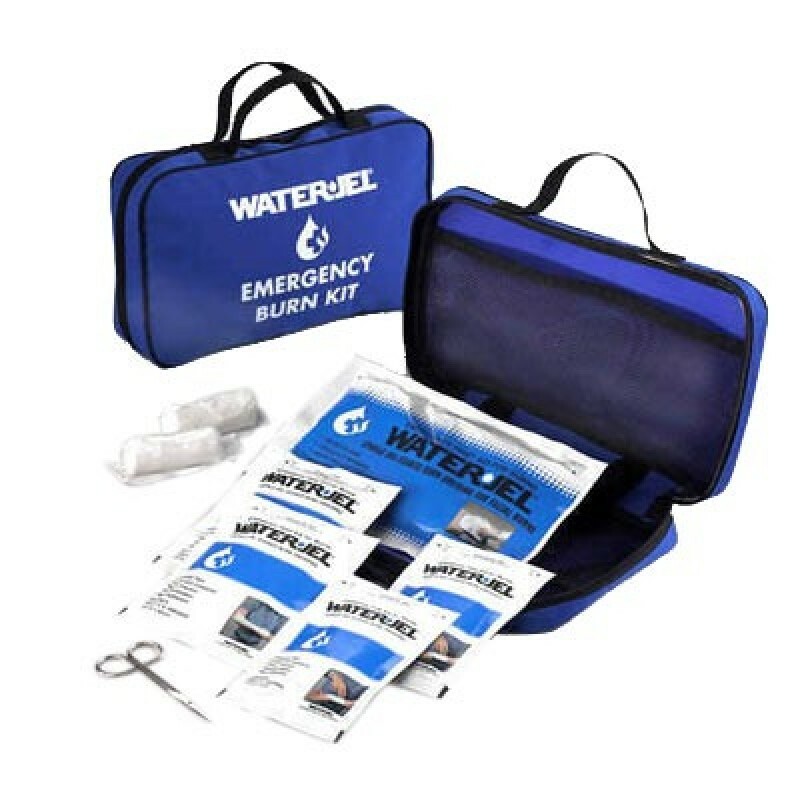 The Water-Jel Small Soft-Sided Burn Kit is packaged in a lightweight nylon blue bag. An inner pocket is sewn-in for organization and easy access to burn supplies. These emergency burn kits are portable and fit anywhere. They can be utilized for most industrial, institutional and medical emergencies. Consisting of a scientifically formulated cooling gel and medical grade non-woven carrier, when applied to the wound, these burn dressings cool the burn, quickly relieve the pain, help to stop burns from progressing deeper in the skin, and protect against airborne contamination. This kit is an essential item to have for all burn emergencies.